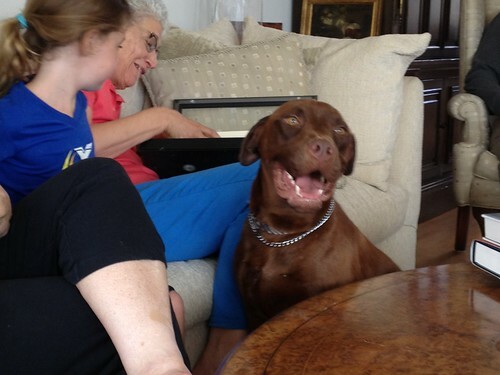 Max is a chocolate lab who is recovering from some pretty traumatic times. Fran and Bob are fostering him. He needs to get stronger so he can have surgery to fix a torn tendon is his hind leg. He's a sweetheart and he feels like a member of the family already, which, if all goes well, he may become.